8:30am today; could receive 100+ day jail-sentence; other charges to come! result of her repeated violations of her probation this summer. 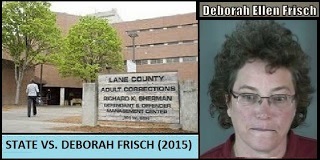 Miss Debbie has been jailed since her arrest on other charges August 15th. a result of a civil hearing scheduled for Sept. 14.
yanking Debbie's harassing and defamatory blogs from teh internet.